4 Responses to 9000!! NINE THOUSAAAAANDD! What does the scouter say about its power level? It’s over 9000!! 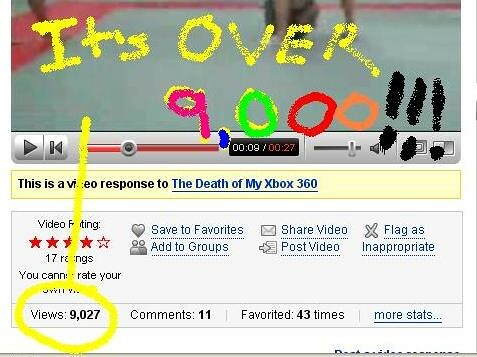 NINE THOUSAAAAANDD! I’m thinking about getting a Dopod CHT9000. PS: I think the “Youtube’s Best of miltownkid” DVD is coming out any time now.